Credit photo: C. M. Cheung. 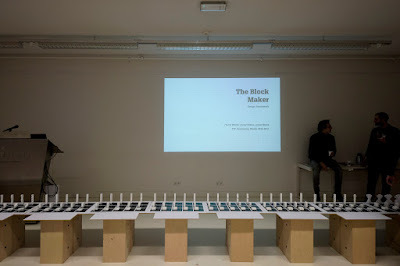 We as a group went to MVRDV to present the updated version of the blockmaker, where the individual project is including in blockmaker as a plug in. 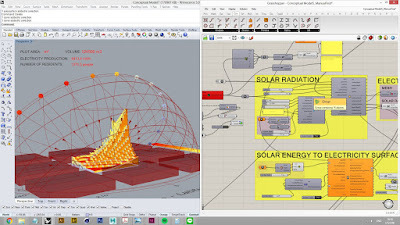 After the P2, our building technology is joining to develop both technical and conceptual aspects. P2 Presentation Day1/2: Go or No Go? Talks with our tutor, Adrien Ravon. 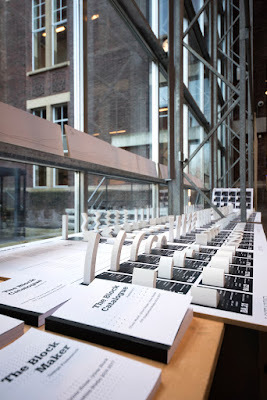 Special guests: The Why Factory's tutors and Prof. Winy Maas from MVRDV. Winy Maas Talked about the education of the why factory. P1 Presentation: introduce to the Blockmaker framework and present on our individual personal fascination. 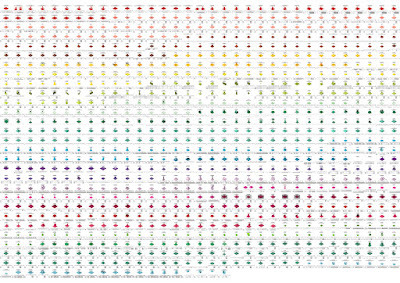 Throughout the 20th Century --from the CIAM declarations to SimCity-- architects, urban designers, sociologists, philosophers and politicians have tried to decompose the city into comprehendible objectives, using matrices, lenses, layers, categories, classifications and typologies. However, those urban ‘layers’ were often too rigid and rapidly outdated. Parameters such as time, evolution, resilience or sustainability were barely considered in urban design and development. Yet, also contemporary design rarely – if ever – takes those parameters into account. Design disciplines rather continue to engage the task of planning and designing for a new settlement in fixed, singular and unresponsive ways that presume the preferred outcome is the only one worth elaborating. 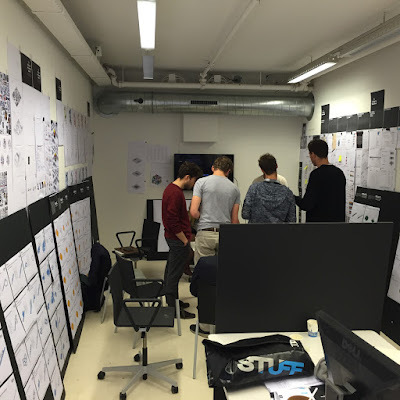 Evidently, designers need to start thinking in terms of scenarios, contingency and variability. tive approaches to the construction of the city and developed a wide array of scenarios. This year, The Why Factory Graduation Studio 2016-2017 aims to look at the housing block through this wide array of filters simultaneously, to test the capacity of a home, a slab, a tower, a neighbourhood... to adapt to the application of this new agenda. 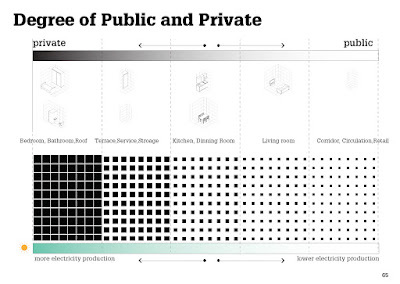 Can we turn the construction of the city into a demountable, elastic and malleable act? The latent ambition of this studio is to create a parametric version of CIAM, anticipating on its main critique of being unresponsive and inflexible. The world, the city, the neighbourhood, the block... they are composed from an almost infinite number of topics. On their turn, every topic is a cloud of relations between subjects, parameters, inputs and outputs. Evidently, topics will have some corresponding subjects, parameters, inputs and outputs. 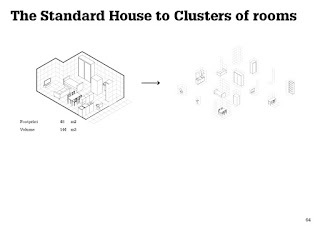 To imagine the block and the city as a parametric model, is basically to imagine an ever-expanding cloud of iterr-elations between almost everything you can think of. To make the block as a parametric model is, in fact, to determine the relations and quantify the subjects. 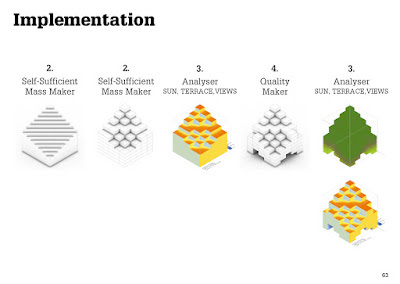 Eventually, we will layer all our Makers, testing them on interrelations, similarities and convenient additions. Although this comparison will be far from complete, it is a first step toward a parametric CIAM. Draft Diagram of what the block-maker would be. The Mass optimisation surface area for Solar Radiation. 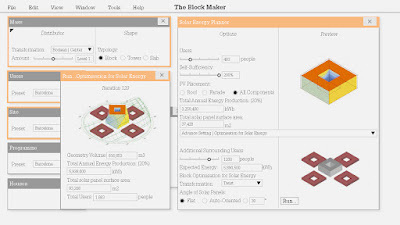 Parameters size of the plot, avoid context shadow, the orientation of the block and how tall is the block. It still needs to develop. 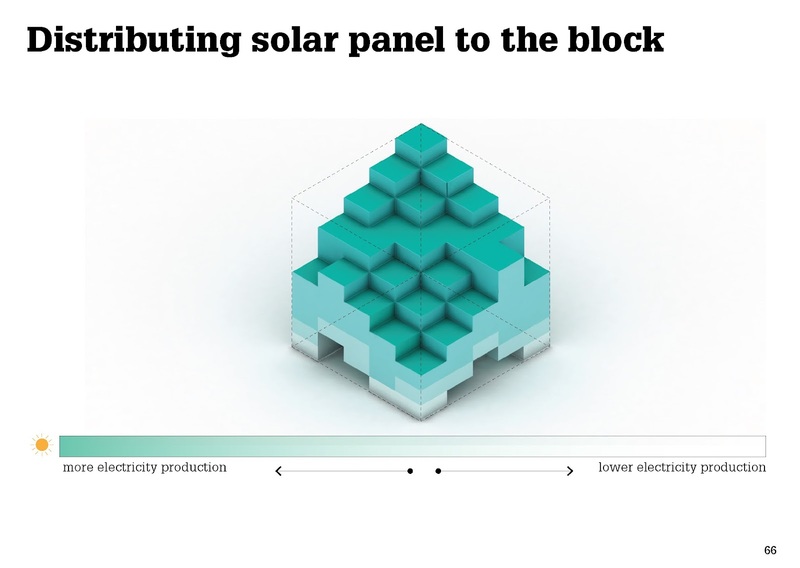 update on the Solar energy plug-in that would allow you to live in a sufficient block and to power blocks around you. 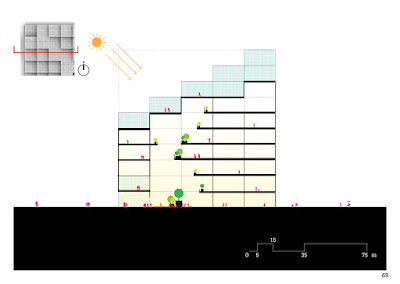 This could be a prototype of integrating solar farming with a housing block. 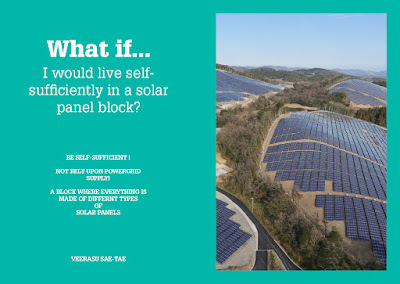 IMAGINE A CITY BLOCK OF 11 MILLION PEOPLE THAT CAN BE ENERGY SUFFIENT WITH SOLAR PANELS FROM BUILDING MATERIALS. 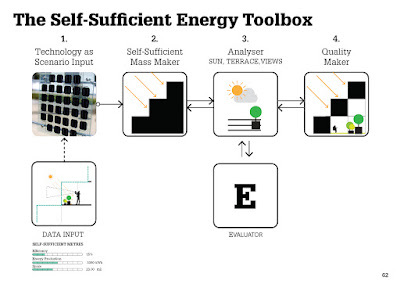 Can we be self-efficient in a block of 100m x 100m x 100m city with energy produced by solar panels? What is the best typology to maximised the surface area to receive sufficient average annual daylight? Can we be enough? How dense could the block be? How to maximise the desires and qualities of the inhabitants? But at the same time, generates enough energy for the overall performance of the building. 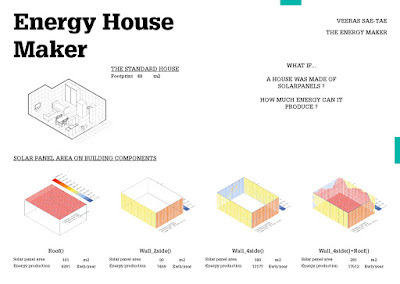 Topic : #Energy, #self-sufficient house. Can building materials generate electricity? 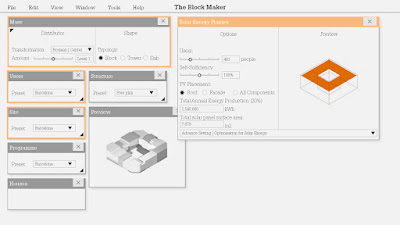 This fascination explores a series of scenarios where we can save up spaces used to produce electricity by integrating energy production with building components such as wall, floor, roof and furniture. 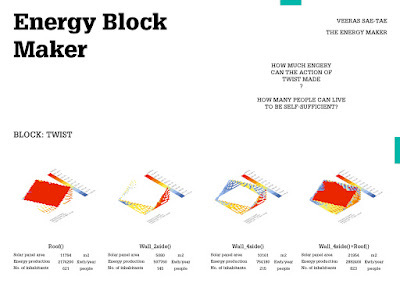 Would we generate more energy! 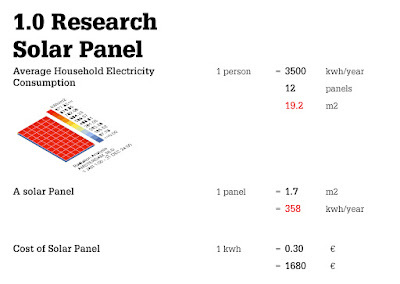 What if Solar Panel would become a building material? 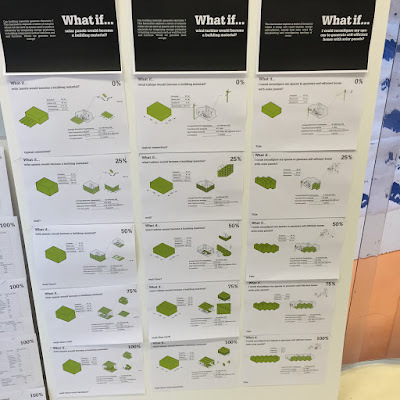 For the end of the workshop, having understood that there is a multitude of components with an impact in the 11 billion people city footprint, students will propose a list of future scenarios at the scale of (y)our world, (y)our city and (y)our block. 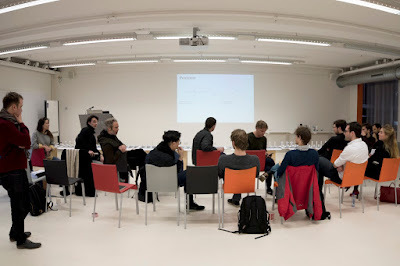 During the first part of the workshop, students will develop an illustrated matrix that combines the different topics, ingredients, parameters and units of measurement involved in the calculation of the footprint of a hypothetical city of 11 billion inhabitants, from the global to the domestic scale.